The Museum’s expert guides lead fascinating explorations of the Museum and provide greater insight into the artifacts on display. Tours are offered daily and last 45–60 minutes, unless otherwise noted. Many tours are available before the Museum opens, allowing you to avoid the line. For all tours, unless otherwise noted. Price does not include general admission. 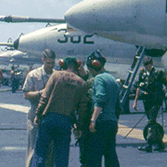 Walk in the footsteps of Intrepid’s crew as you explore never before seen spaces on board the storied aircraft carrier. 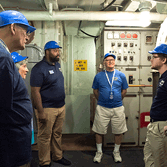 Our expert guides will take you through spaces like the emergency diesel generator room and sickbay as they share stories of service from the past 75 years. Discover the mighty Intrepid, from the sea to the sky and all the stories in between! Hear about the artifacts in the Museum’s collection, and learn what it was like to be part of the flight deck crew. 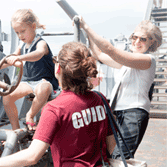 On this fun, interactive tour, young visitors and their grown-ups learn about life aboard the ship and how a crew of 3,000 men formed a city at sea. For ages 5 to 12. Offered on weekends and holidays. All children must be accompanied by a guardian. No adults without a child will be allowed on the tour. Visitor safety: This tour requires long periods of walking and standing. The Museum offers seating on the hangar and flight decks. Lightweight, portable stools are available upon request. This tour is wheelchair accessible. Strollers permitted. Intrepid was a World War II battlefield where the war was fought and won. Travel with the ship through the major events of the Pacific War, and witness the courage and sacrifice that defined the Greatest Generation. 100 minutes. For ages 10+. Visitors younger than age five will not be permitted on the tour. Available early mornings only. Learn about the history of Intrepid from 1943 to 1974 and beyond. 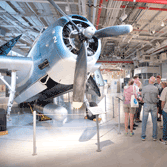 Explore the hangar deck, where aircraft were maintained and stored, and the flight deck, where thousands of aircraft were launched, and hear stories from the ship’s history. Recommended for ages 10+. Visitor safety: This tour requires long periods of walking and standing. Lightweight, portable stools are available upon request. This tour is wheelchair accessible. Take off on a unique exploration of the Concorde G-BOAD, the fastest commercial aircraft to cross the Atlantic Ocean. Learn about the aerodynamic advances responsible for this technological marvel, designed in the 1960s and operational until 2003. This tour offers guests the rare opportunity to enjoy the comfort of the Concorde’s first-class cabin and get an up-close look inside its sophisticated flight deck. Recommended for ages 10+. Visitors younger than five will not be permitted on this tour. Visitor safety: This tour requires navigating stairs. The majority of the tour is seated, though portions of the tour require walking and standing. 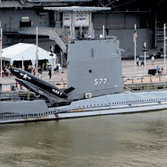 Discover the inner workings of the submarine Growler, the world’s oldest existing nuclear missile submarine. Learn about its secret mission patrolling the coast of the Soviet Union from 1958 to 1964, ready to retaliate if the Soviets attacked the United States. Along the way, see how 90 men lived and worked on board for up to three months at a time, never seeing daylight, never communicating with loved ones and often never showering. Recommended for ages 10+. Available early mornings only. Visitor safety: This tour requires navigating several raised hatches, stairs and tight spaces. All visitors are required to pass through our replica hatch for entry into the submarine. Persons with claustrophobia or related issues should not take the tour. You must be at least 40 inches tall to enter Growler. Take a journey through sea, air and space during a private experience designed just for you. 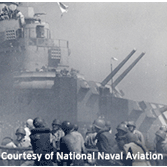 Discover the history of Intrepid, get an up-close look at the aircraft collection, and hear stories about the heroic aviators and sailors who served. 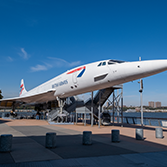 From there, explore the Space Shuttle Pavilion, get immersed in the submarine Growler, or climb aboard the British Airways Concorde—the choice is yours. Your guide will customize the tour for your group, sharing the stories and artifacts that appeal to your interests. Give a VIP Tour as a gift, tailored to the interests of the recipient. And if you don’t want to choose between the submarine, space shuttle or Concorde, purchase a VVIP Tour—an all-inclusive, one-of-a-kind experience exploring all of the Museum’s major artifacts.